A 2018 tally of world fuel prices shows that Trinbagonians pay more at the pump than Americans and several other countries. 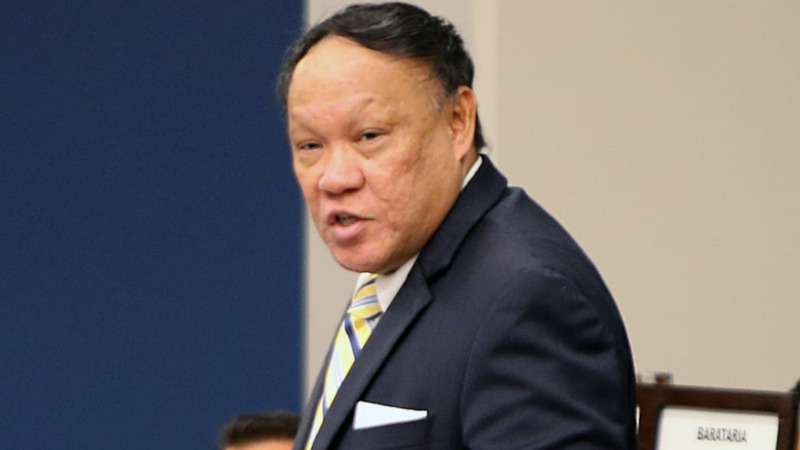 Trinidad and Tobago's recent fuel price increase to $4.97 for super gas was met with consternation from drivers - the increase has been noted in a Bloomberg report based on data from www.globalpetrolprices.com. The data notes Trinidad and Tobago's fuel price as US$0.85, around $5.75 per litre of gas* (95-octane i.e. premium gas). By contrast, although the exchange rate is currently TT$6.8 to US$1, Americans only pay US$0.68 (TT$4.60) per litre at the pumps**. 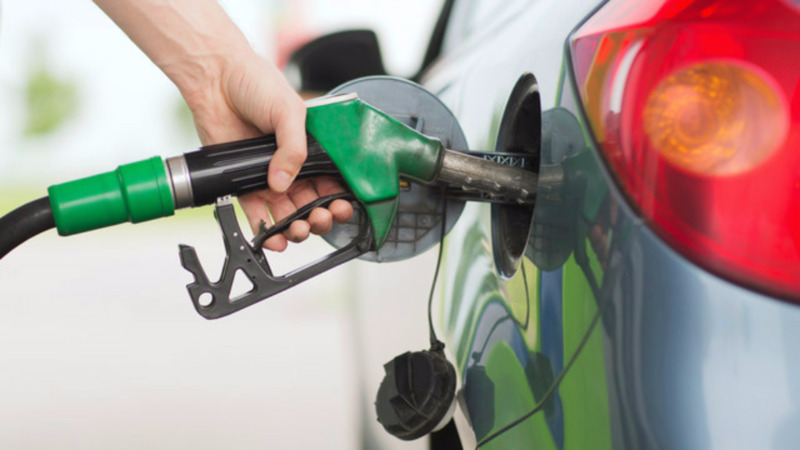 Trinidad and Tobago's fuel price is also slightly higher than Haiti where drivers pay US$0.80 per litre to fill up their tanks, the cheapest rate in the CARICOM region. The countries where gas prices are cheapest begins with Venezuela at first place with US$0.01 per litre, followed by Iran at US$0.14 per litre, Kuwait at US$0.35 per litre, Nigeria at US$0.41 per litre and Egypt at US$0.43 per litre. 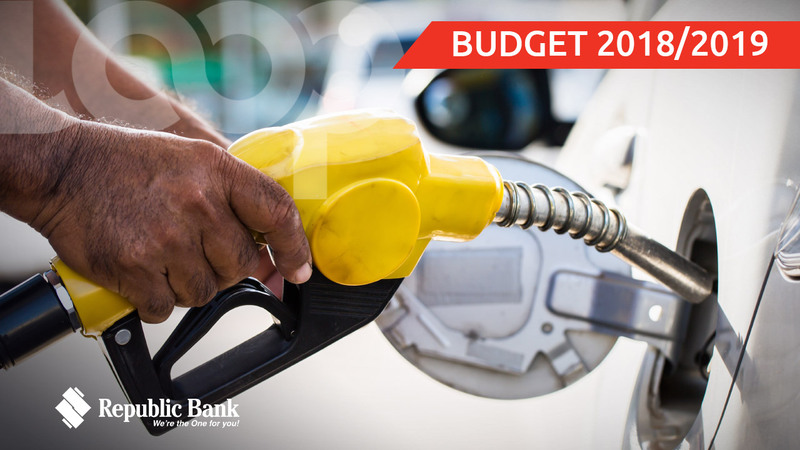 However, Trinidad and Tobago's fuel prices are cheaper compared to many other countries, including Canada (US$0.90 per litre), the UK (US$1.54 per litre), and even Barbados, where gas costs a whopping US$1.80 (TT$ 12.24) per litre. India has the highest spend for fuel, with an average 18 percent of a day's wages going to a litre of gas, which costs US$1.02 per litre. "Low wages and limited infrastructure have resulted in widespread energy poverty. The average Indian would have to spend 70 percent of a day’s wages to afford a gallon of gasoline. The government in 2016 said it plans to end the sale of internal combustion engines in 2030—one of the most aggressive targets in the world—though it has since scaled back those ambitions," Bloomberg said. The most expensive gasoline in the world is in Zimbabwe, where drivers pay a painful US$3.32 (TT$ 22.58) per litre of gas. 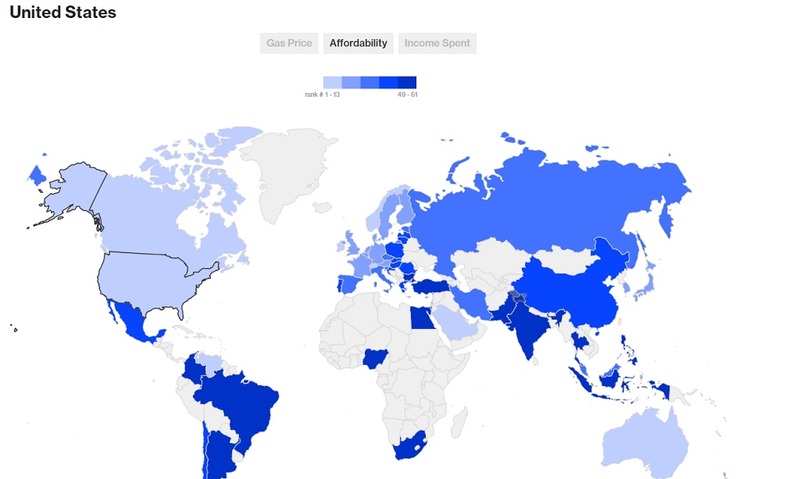 However, Pakistan has the most difficulty in affording fuel prices at US$0.69 per litre. "A trip to the pump is painful in Pakistan, where workers must put in more than half a day’s work, on average, to afford a gallon of gasoline. Most Pakistanis opt for cheaper compressed natural gas (CNG), which fuels about 80 percent of the nation’s auto fleet. Pakistan has millions of CNG vehicles on the road, more than any other country." Globalpetrolprices.com publishes up-to-date information on retail energy prices around the world including motor fuel prices and electricity prices. The team, which consists of professional analysts, tracks the national average prices in 150 countries, the regional prices in several countries with relatively substantial regional price dispersion (Australia, Brazil, Canada, Russia, and the U.S.), and over 300 cities globally. The series are updated every week. Data is collected for each country via three independent sources including the Ministries of Energy, Transport, or Commerce; fuel price transparency mechanisms; local automobile associations; consumer advocacy groups; international fuel companies; local petroleum monopolies; multilateral organizations; and the local media. The data are checked against the three sources for consistency. Their data have been used in Bloomberg's quarterly review of world gasoline prices for several years. The data is also used for the World Bank's Global Economic Prospects as well as academics and individual researchers including at UC Berkely and the University of Maryland, and to government institutions such as the Chilean Library of Congress. *Gas prices are provided by GlobalPetrolPrices.com and are for 95-octane from the final week in each quarter listed, except for Q1 2018, which are from April 16, 2018. Local gas prices were converted into listed currencies using end-of-day exchange rates on the same day. Visualization data were compiled by Bloomberg, IMF, UN, and World Bank. 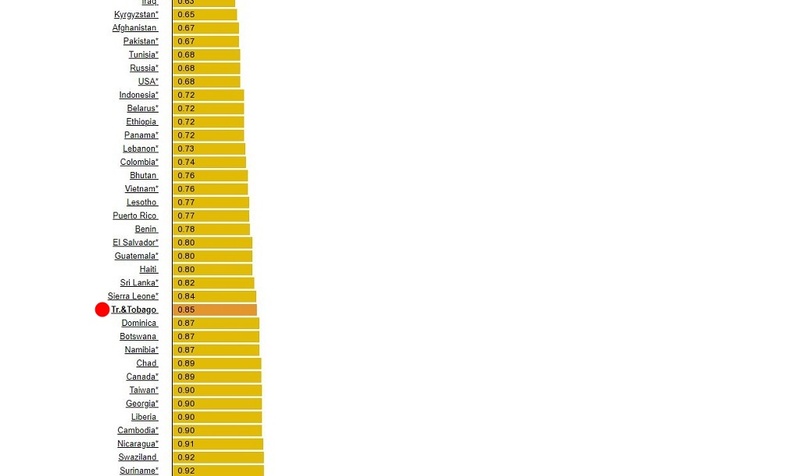 **In the US gasoline prices may vary over time and among states and regions.